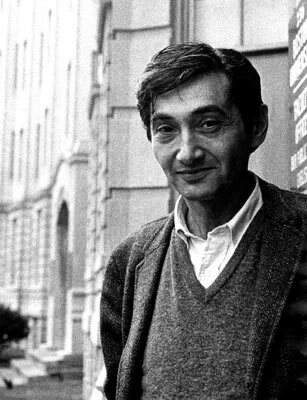 Howard Zinn died today at age 87. Through a half-century of activism, and many written works including the seminal People’s History of the United States, he took the side of the marginalized and oppressed, lifting up the voices of — and marching alongside — those who fought injustice dished out by the heroes of official histories. As the son of working-class immigrants and shipbuilder, Zinn championed labor organizing. A World War II veteran, his experiences in Europe led to a pacifist, anti-war stance and sympathy with the working class soldiers on the front line of rich men’s wars. His time spent as an instructor at Spelman, a historically Black women’s college in Atlanta, put him amidst the most militant wing of the early Civil Rights struggles in the South. In Boston in the 1960s he worked tirelessly with the surging movement against the genocidal American war in Vietnam – including a 1968 visit to Hanoi. His career as a professor was consistently that of an activist, and as a historian he remained a public and engaged intellectual until the end. He was a fixture at anti-war and other progressive demonstrations and speaking events, and had just completed a project of putting a recent work, Voices of a People’s History, into dramatized readings of social movement leaders and forgotten historical actors alike (the filmed version, The People Speak, should be out on DVD soon.) This focus on public, accessible history was typical: other recent works included comic book and children’s adaptations. Above all, he never hid the intention that his People’s History would not be a dispassionate move its readers into action and protest. I was one of them. Thanks, Howard. You can read A People’s History of the United States online. If I want to be remembered for anything, it’s for introducing a different way of thinking about the world, about war, about human rights, about equality, for getting more and more people to think that way, and also for getting more people to realize that power, which rests so far in the hands of people with wealth and guns, ultimately rests on people themselves, and they can use it, and at certain points in history they have used it: Black people in the South used it; people in the women’s movement used it; people in the anti-war movement used it; people in other countries who have overthrown tyrannies have used it. What I want to be remembered as is somebody who gave people a feeling of hope and power that they didn’t have before.